Optimize your supply chain. Provide the best possible service with the least total supply chain inventory. P4’s Multi-Echelon Inventory Optimization (MEIO) solution is a culmination of all of our other solutions. It will reduce your total supply chain inventory while providing the same or better service levels to your end customers. Inventory levels in all tiers of your supply chain are optimized SKU by SKU to make sure that you meet your service level objectives with the least total supply chain inventory and risk. Your upper echelon inventories benefit from extremely accurate forecasts that are based on every detail of replenishment logic and expected demand in your lower echelons. Forecasts are maintained in the lowest echelon and the echelons above benefit from those forecasts. This logic combined with our allocations processes and all of the other logic described on the pages of this website provides a culmination of benefits for your entire supply chain when you implement P4’s MEIO solution. Almost every large company has multiple stages within their supply chain. 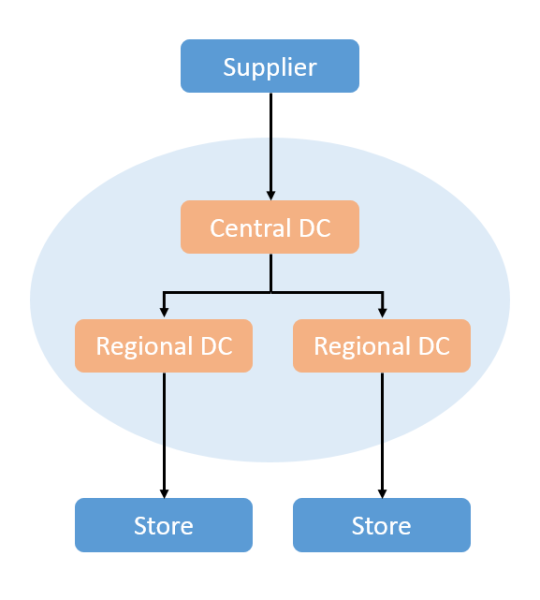 Each of these stages represents a point where inventory is held and passed through. These stages are called echelons. Multi-echelon inventory optimization is when a company uses software to maximize service levels at all locations based on changing lead times upstream. With recent advances in technology, the software can now see the supply chain as a whole and consider the inventory network as a pool instead of separate locations. Multi-echelon inventory optimization is important because it looks at inventory across the whole supply chain. By seeing the bigger picture, the P4 solution takes into account the complex interdependencies between stages to recommend the right amount of safety stock buffer at each location. Without this capability, companies can tie up much-needed cash in unnecessary stock or fall short of meeting their customer's needs. For more information about how the P4 Solution can help your company, please contact us.